We apologize for the confusion regarding the actual color of the 'Chubby Panda Backpack.' In-game, the backpack will show as a panda-shaped backpack with a white body and black limbs (unlike the screenshot). We apologize once again for the confusion and we thank you for your understanding regarding. 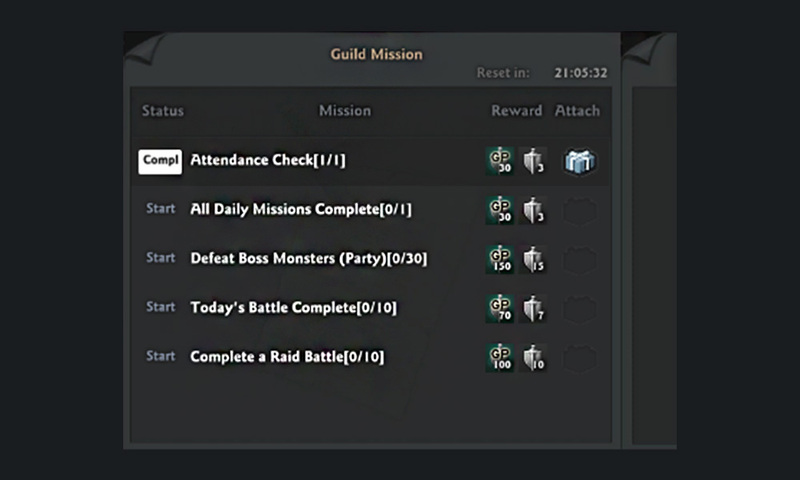 Receive 3 tickets when you complete all Guild missions. Exchange the tickets for various items from the Exchange Shop. * Please note that the outfits displaying the Chubby Panda Backpack and Pink Heart Wings are not included, only the listed items are given as rewards.